Day 7 was to show where you’ve read. I have a reason why I didn’t follow through with posting every day of BookTubeAThon. My brother has been playing a lot of games on Xbox which has been using a lot of internet, so my mom and dad told him he needed to shut off the internet. What. Completely not fair, but it is what it is. So I can’t use internet until the 1st of August. I know, I know. That’s a long time, but I will make up for it during August :) So all my posts will be later. I will be doing my BookTubeAThon Wrapup post, my monthly wrapup and TBR, all my reviews, and the Rainbow Readathon TBR. Join me in the Rainbow Readathon and link your posts about it in the comments on any of my posts :) It’s an Instagram challenge so search #rainbowreadathon for the details on that. Oh, and you can tag me in any of your posts on Instagram about it if you’d like. 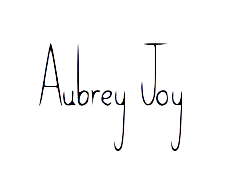 My Instagram name is aubreybrowning. Anywho, the places I read were in my comfy bed, my living room couch, my car, and my living room floor. I don’t have any pictures, but that’s where I read :) Bear with me and my lack of wifi. I’ll be continuing with posts the first day of August. Todays theme was 5 things from a book you’ve read this week. I picked 5 things from The Giver. It’s also a love story, of sorts, the narrative of Gatsby’s quixotic passion for Daisy Buchanan. The pair meet five years before the novel begins, when Daisy is a legendary young Louisville beauty and Gatsby an impoverished officer. They fall in love, but while Gatsby serves overseas, Daisy marries the brutal, bullying, but extremely rich Tom Buchanan. After the war, Gatsby devotes himself blindly to the pursuit of wealth by whatever means–and to the pursuit of Daisy, which amounts to the same thing. 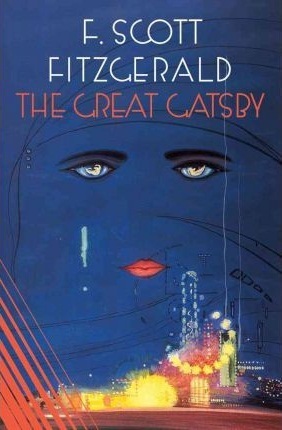 “Her voice is full of money,” Gatsby says admiringly, in one of the novel’s more famous descriptions. His millions made, Gatsby buys a mansion across Long Island Sound from Daisy’s patrician East Egg address, throws lavish parties, and waits for her to appear. When she does, events unfold with all the tragic inevitability of a Greek drama, with detached, cynical neighbor Nick Carraway acting as chorus throughout. Spare, elegantly plotted, and written in crystalline prose,The Great Gatsby is as perfectly satisfying as the best kind of poem. Nick moves in next to the man who throws the parties, Jay Gatsby. Mr. Gatsby lives in a mansion across the water from Daisy Buchanan. This is no coincidence. Gatsby has been in love with Daisy since 1919 before he left for war. Daisy loved Jay Gatsby as well, but thought he died when he was at war. She fell for another man, married, and had a daughter. Jay comes back, but doesn’t tell Daisy. He builds a crazy huge mansion across the lake from her and throws huge parties every weekend in the hope that she’ll wander through his doors. She never does, but he sees her another way. Nick Carraway is Daisy’s cousin. Is it coincidental that Nick moved in right next to Gatsby? Maybe only F. Scott Fitzgerald will know. Nick is asked by Gatsby to have Daisy over for tea so he can see his one true love, Daisy Buchanan. I honestly was only following this because I’ve seen the movie so many times. This book is really confusing. It takes multiple paragraphs to tell something that could be said in one sentence. I was expecting to love this book and be blown away, but I was kind of let down. I know so many people LOVE and rave about this book, but I’m not a huge fan. I love the movie. I love that era and the music and the fashion. I feel that I would have appreciated reading it more if I would have read it with classmates in school. Gatsby is a cool guy,but he’s so full of himself! He was asking way too much of Daisy when he told her to tell her husband that she never loved him and that she only loved Gatsby himself. That’s a ridiculous thing to ask! She didn’t even know he was alive, of course she fell in love again. Daisy was honestly my favorite, but she was whiny. I feel like during that time women were viewed as weak and whiny, though. I think she embodied being girly, but also having strong will and strong character. I love Daisy. I would choose to be her. She’s kind of irritating, but she lived in a beautiful house, she was a stunning woman and she got to live in that time period. I love the Great Gatsby era. I honestly believe I was born in the wrong time. I know, I know. Bad blogger award goes to me. I was out of town yesterday so I didn’t have access to a computer. The struggle is real. But the theme for the fifth day of BookTubeAThon was a rainbow of your favorite books. So… I basically just made a rainbow. A lot of my favorite books are with my friends because I insisted that they read them. If I would have been using my favorite books The Fault in Our Stars would have been in there. But I have Love, Aubrey for red, City of Glass for orange, Everything on a Waffle for yellow (which is actually one of my favorite books), City of Bones for green, City of Ashes for blue, Shadow Kiss for purple (haven’t even read this one…. oops), and Lock and Key for pink. Early one morning three sisters looked out the window from their shared bedroom. All they saw was the sidewalk. Just the sidewalk. The girls walked outside because of the nice weather. They decided it was a good beach day. The girls started to walk, but forgot where the beach was. They follow the sidewalk until they get to a wide clearing that was the local green space. They knew where they were. Just one more left turn until the beach. They took their left turn and walked onto the sand. Right where the sand ends, the water begins. I know that was a horrible story with a horrible “plot line” but it was one of the challenges… :) BookTubeAThon has been really fun so far! Comment if you’ve participated in BookTubeAThon and what you’ve read! 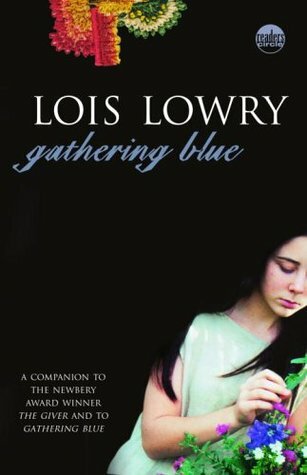 As she did in The Giver, Lowry challenges readers to imagine what our world could become, and what will be considered valuable. Every reader will be taken by Kira’s plight and will long ponder her haunting world and the hope for the future. In a village there is a hierarchy. Our main character, Kira, is in one of the lowest branches. Kira lives with her mother, and her father is suspected to be killed by the Beasts that live in the Field. Kira is born with a twisted and crippled leg and was supposed to be sent out to the field as an infant, but her mother pleaded and begged to keep her at home. Her mother won that tiny battle, and Kira was kept at home. As infants the villagers are named a one syllable name, and as they age they add more syllables to their name. The oldest person in this book has a four syllable name. That four syllable name is the person that Kira visits to learn to dye thread and yarn. There is something special about Kira. She can embroider and weave. She is put in charge of fixing the Robe. The Robe is the story of their people. The Singer wears this special robe at the Gathering while he sings the history. Kira learns to make the colored threads, but doesn’t know how to make blue. Blue is the color she most desired to make, so her friend goes and finds the plant to create blue. Based on the reviews on Goodreads I was really skeptical. NO ONE LIKED THIS BOOK. I enjoyed this book. Everyone was freaking out that it wasn’t the world as The Giver, but it was. It wasn’t the advanced utopian world, but it was the dystopian side of it. If everything was as advanced as The Giver then it would be a completely different world. I loved that it showed the other side of the world. Kira had two friends. Matt who was in the lowest branch of the hierarchy, and Thomas, The Carver. Thomas carved wood like Kira embroidered. Kira and Thomas were lovable characters. Matt was so cute. It was unclear to how old he was, but he was adorable. He had a pet dog that he nurtured back to health, and he grew up in the Fen. Because he lived in the Fen he had a weird accent. He was probably my favorite character. Even though Kira has a twisted leg, I’d choose to be her. I love sewing, and embroidery is kind of like that. She’s just a lovable character. She lost her mother, but she pushed through. She lost her dad, but she pushed through. She was such a strong main character. Oh my gosh. I didn’t even think of him like this. The Giver was supposed to be a cool old guy who could see color! Not creepy. Anyway, I drew what I thought would be a pretty cool cover.